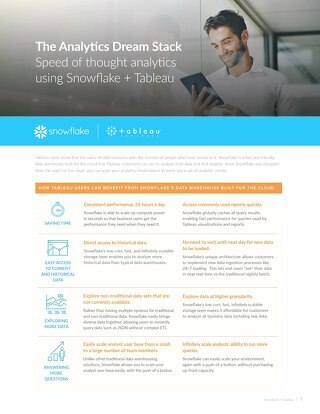 This step-by-step guide will help you understand how to maximize using our free, self-service, proof-of-concept trial to evaluate Snowflake. 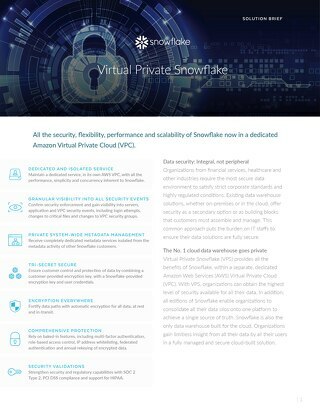 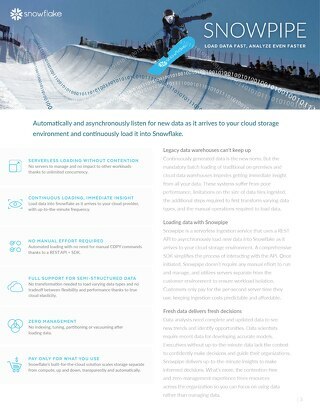 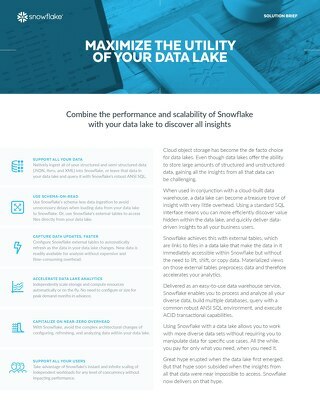 Find out how Snowlake’s built-for-the-cloud data warehouse lets your entire organization more effectively lower its risk posture at a substantially reduced cost. 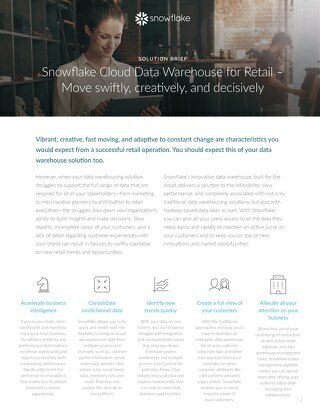 Vibrant, creative, fast moving, and adaptive to constant change are characteristics you would expect from a successful retail operation. 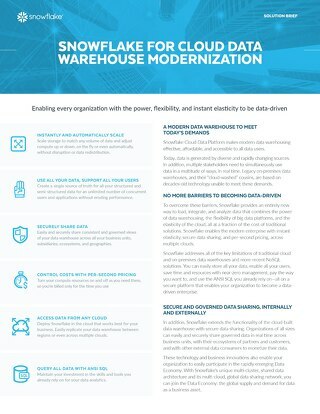 You should expect this of your data warehouse solution too. 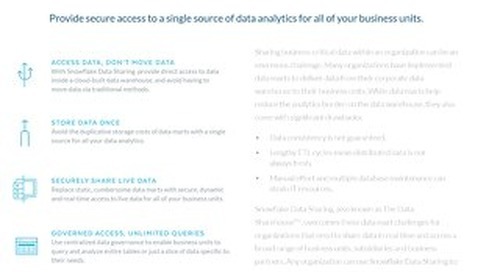 Continuously generated data is the new norm. 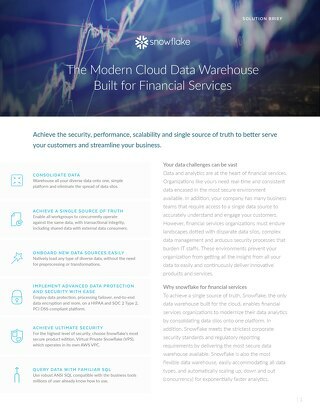 But the mandatory batch loading of traditional on-premises and cloud data warehouses impedes getting immediate insight from all your data. 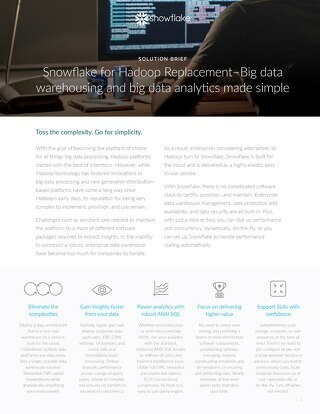 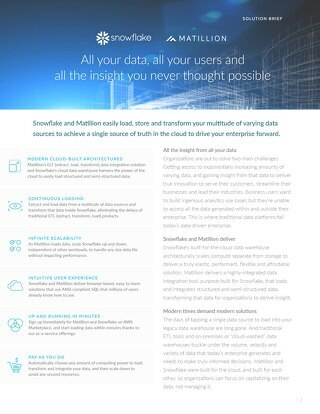 Snowflake and Matillion easily load, store and transform your multitude of varying data sources to achieve a single source of truth in the cloud to drive your enterprise forward. 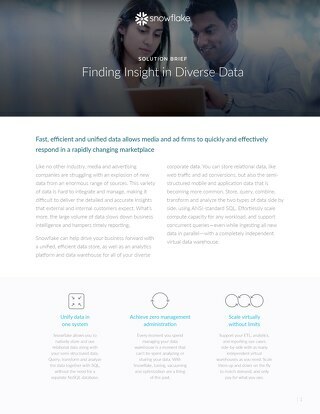 Data has become easy to generate and affordable to store, making it possible to gather massive amounts of data about visits, downloads, activations, interactions, conversions, loyalty and more. 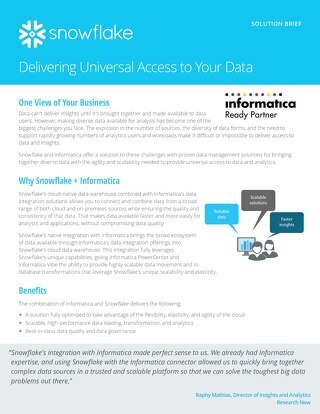 Snowflake and Informatica offer a proven data management solutions for bringing together diverse data with the agility and scalability needed to provide universal access to data and analytics. 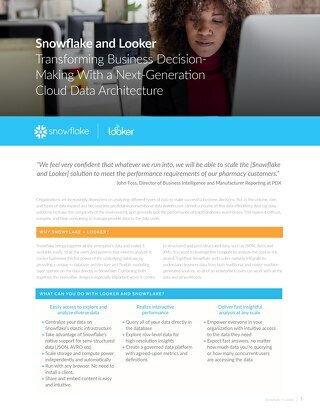 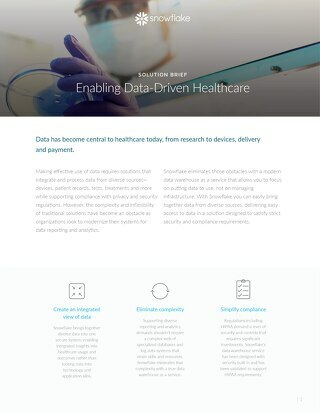 Snowflake provides healthcare a data warehousing solution that allows them to integrate diverse data in one place and make it available to a wide array of users and applications. 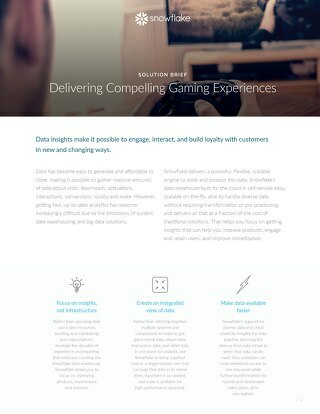 Times are changing. 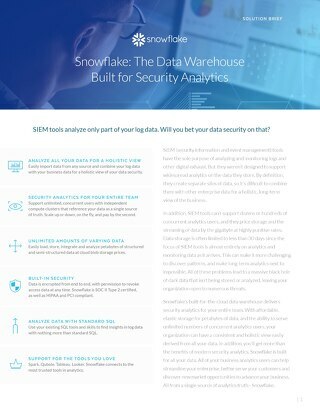 When you want to build a data lake, you don’t have to compromise having an enterprise data warehouse too. 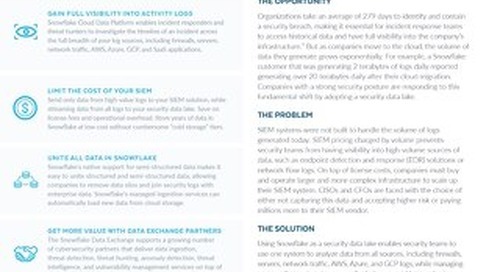 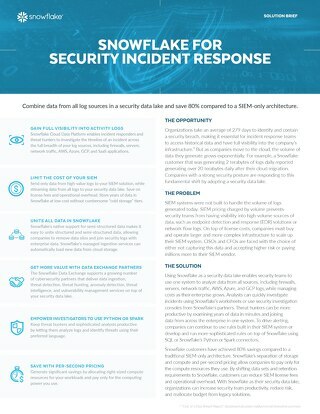 Learn how in our solution brief. 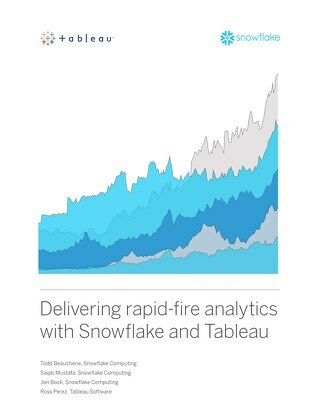 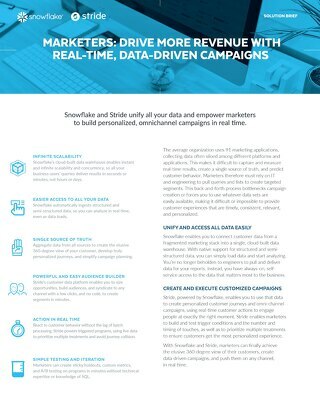 Learn how Snowflake can help media and advertising firms load, store and analyze large amounts of diverse data.